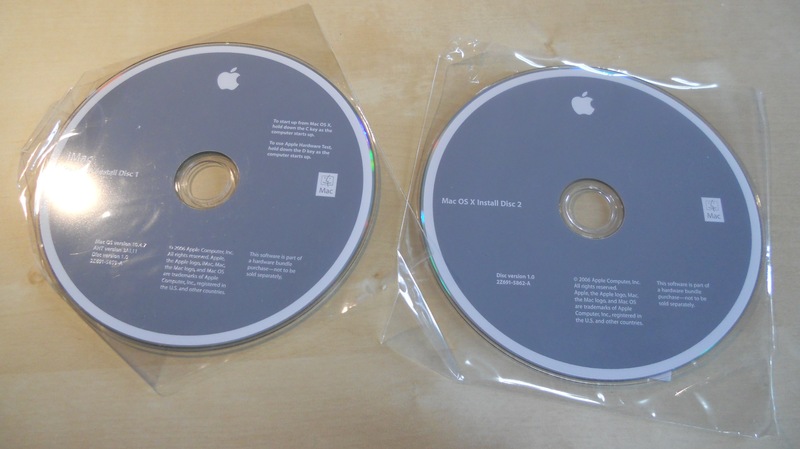 I was cleaning up my home office recently and I found a couple of installation disks for Apple’s OS X Tiger operating system, 10.4.7. They must have come with the Macbook Pro I bought back in early 2006, and since that time I’ve upgraded several times, to 10.5 (Leopard), 10.6 (Snow Leopard), 10.7 (Lion), and in the not too distant future I’m sure I’ll make the move to 10.8 (Mountain Lion). 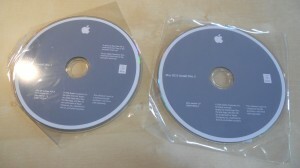 Because I have absolutely no need to keep the OSX Tiger disks, I figured I’d sell them on eBay. After all, they might be of some use to someone with an older Mac who wants to stay on that older version of the OS, who possibly has lost or damaged their original disks. I listed them online for $1, eBay’s minimum bid, and hoped that they might be of some benefit to someone, somewhere. Less than 24 hours after listing them, I get an email from eBay telling me they had to pull the ad after getting a takedown notice from the Business Software Alliance. “Your item was removed because of a request we received from BSA asking us to remove the item”. They say that “software offered for sale is in violation of an enforceable license agreement, which constitutes a copyright infringement”. WTF? Are they serious? This is an operating system that is nearly 5 generations old and is no longer for sale. The only people interested in this software would already own the Mac hardware to run it on, which means they did, at least at one point, own their own copy of the disks anyway. You guys cannot be serious? This is a legacy operating system, no longer supported by Apple. How can it possibly be seen as a copyright infringement? What damages can the BSA possibly claim? This is not taking sales of new software away from Apple, nor depriving Apple of income. The disks are sitting in my drawer gathering dust, and I listed them for the absolute minimum price allowed ($1) in the hope that someone who needs them, running an older Mac, might benefit from them. Surely you understand that these disks are of no benefit to anyone who does not already own the hardware capable of running the software? By implication, they have already bought – and probably subsequently lost – the disks that came with their original system. All I’m doing is offering them to chance to get a genuine copy of the disks they have already bought. Unlike the Windows operating system, Mac OSX cannot be bought as a standalone product, and so whoever has hardware capable of running OSX 10.4.7 has already bought the software, since it came with their hardware! If those original disks have been damaged or lost, the disks I was offering on eBay will simply allow them to have a genuine replacement for something they have already paid for. Please reply to this email and explain the rationale behind your request to pull these disks from sale on eBay, and also please explain to me – realistically – what damages are being done and to whom. Those who know me well would know that I usually do my best to do the right thing regarding copyright, but this seems just stupid to me. Copyright is supposed to protect people from loss of income due to the theft of intellectual property. I fail to see how this takedown notice does that. Thanks to the nazis at the BSA, somebody who might get some benefit from owning the disks for this 6 year old operating system will no longer be able to, and I’ll be deprived of a whole dollar. Meanwhile Apple still have over $100,000,000,000 in the bank. Victimless crime? Copyright gone mad? Or am I just being unreasonable? Many people I know struggle with technology. They bumble by, more-or-less managing to make their computer do what they want it to do, but often without that real sense of confidence that comes from feeling fluent with the software they are interacting with. And let’s face it, when we talk about “technology”, we mostly mean “software”. Sure, there are some hard-to-use hardware devices but by and large when I watch someone struggling to feel comfortable using “technology”, it’s usually because they are out of their depth with the software they are trying to use, not the hardware. It might not seem like it when you’re so frustrated you just want to throw your laptop out the nearest window, but companies who build software try really hard to make their tools easy to use. Of course, not all software is actually easy to use, but I do believe that all software designers really do try to make their software as easy to use as possible. It’s not easy… some of the things we expect software to do are incredibly complex, and designing software that does complex stuff while also making it easy to use, is really hard to do well! But the next time you are struggling to use a piece of software, remind yourself that someone, somewhere, probably spent a great deal of time and energy trying to make it as easy as they could. And no matter how much it might feel like it, the software designer’s goal was not to confuse and frustrate you. Because writing software is so hard, it takes a special kind of person to do it. Software developers are usually incredibly intelligent people because you really do need to be fairly smart to write software. Most developers also have very systematic and methodical minds, because, again, that’s just the sort of mind you need to write software. It’s this combination of high intelligence and methodical thinking we sometimes call an “engineer’s mindset”, and while you need it to write good software, it’s really not the way the majority of us think. And that’s part of the problem of why there is so much “hard to use” software. The people who create it are often on a completely different planet to the people who use it. For a super smart software engineer, the term “easy to use” might mean something entirely different. Because most “dumb users” find it difficult to think the way engineers think, and many engineers are unable to put themselves in the shoes of the average end user, there is often a huge mismatch between the two groups that ends up making software seem much harder to use than it should be. (You might like to read The Inmates are Running the Asylum by Alan Cooper for a really good insight into this problem) Thankfully, software has gotten much, much better over the last few years thanks to much better development environments and more flexible programming frameworks, a greater emphasis on end-user usability testing, a greater acceptance of the idea of a “public beta”, and also the “appification” of complicated software in small, app-sized chunks on easy to use mobile devices. So thankfully, things are improving. But if software is getting better, and companies really DO try hard to make their software as easy to learn and use as possible, why do so many people still seem to find it so damn hard to use? 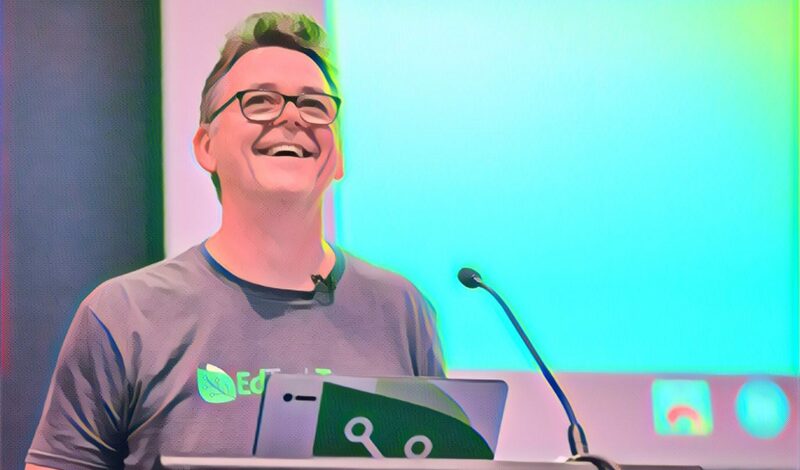 This was one of the most powerful things I ever did to become a more fluent software user… I deliberately started using software that was different to what I was used to. If you use a software tool to do a particular task, find out what other software tools do a similar thing, and try them. For example, if all your word processing is done in Microsoft Word, try using some other word processing tools for a change. Libre Office Writer, Google Docs, Zoho Writer, WriteRoom, Scrivener, AbiWord… the list is long if you look. There is something incredibly liberating about trying a different tool than the one you’re used to. It forces you to see things more conceptually – to understand the concepts of formatting text, rather than simply remembering where the Bold button is located. As you move between multiple tools that do the same task, you start to see the commonalities and the differences between them. You realise that all tools in this category have certain core features, but you also see how different tools implement some of those features better or worse than others. You start to think in terms of function rather than form. You develop a better ability to scan your eyes over the interface quickly, spotting the buttons you recognise, even though they might look a little different. You realise that the design of software is far more consistent and predictable than you maybe imagined it was. You start to see the ways that different programs handle the same common file formats. Are you a PowerPoint user? Why not try Keynote, Google Presentations, SlideRocket, Libre Office Impress, Prezi or 280 Slides? What do you use to edit video? Whatever you use now, take a look through some of the alternatives from iMovie, Windows Live MovieMaker, Pinnacle Studio, Sony Vegas, Adobe Premiere Pro or Premiere Elements, Final Cut Pro X. As you might imagine, if you actually did try all these different video editing tools, you wouldn’t just know how to use a bunch of video editing tools, you would truly understand the core idea of what it means to edit video. There is great alternative software in most of the major categories. Just go to Google and search for [alternatives to X] where X is the software you use now, and see what you can find. Much of it is free to try, if not completely free to use. Using lots of different software tools that do more-or-less the same job makes you a far more flexible and adaptable user. You don’t have to permanently switch from your old faithful tool if you don’t want to (although you might be surprised at how good some of the others are!) Switching to a new tool is not the point of the exercise. But by trying lots of new tools you will develop a far deeper understanding of what software is all about, and your technological fluency will take a supercharged leap forward. Whenever you work with a new piece of software, take a moment to explore the options or preferences. On most Windows software you’ll find it under the Tools > Options menu, and on the Mac its in the application menu under Preferences. Whenever I get my hands on a new piece of software, I go straight to the prefs or options and spend a few minutes looking through them. Those few minutes are always paid back in greater productivity through having a better sense of what the software is all about, plus I can usually find lots of little tweaks that make the software work the way i want it to work. It astounds me how often I see people struggling (sometimes for years!) with some annoying behaviour in their software that can be easily changed simply by unticking a checkbox in the preferences. Don’t be one of those people. The other thing I will always do with any new piece of software is just take a moment to look through all the dropdown menus to see what’s there. Many of them will be immediately recognisable – obvious ones like cut, copy, paste, select all, etc – through to those that will give you some clues as to what the software might be able to do. Seeing choices like Arrange, Group, Align, etc immediately tell you things about what the software can do. The View menu often lets you change the way you see the software by accessing fullscreen mode, changing zoom levels, and so on. If you’re observant you can also pick up some great keyboard shortcuts as well. Look for menu items than you don’t recognise too. For example, if you’re usually an Internet Explorer user you might be intrigued by options such as Chrome’s Incognito Window. Click it. See what it does. It’s software, you can’t really break it, so go explore! Every piece of software I’ve ever used has a Help menu. Someone, somewhere, went to a lot of time and trouble to document this software and explain what it does, how to use it, and how to get the best out of it. Why would you not use it? And yet, whenever I see someone struggling with a piece of software, I can almost guarantee that the answer to “have you checked the Help menu?” is no. C’mon! Just use it… Look it up if you have a problem, or just glance through it to pick up some useful tips. Don’t be so helpless. Easy. I once got stuck on the exact same problem as you, and I looked in the Help menu to work out how to solve it. Just like you can. If you really don’t want to use the Help menu (“It’s so complicated!”) then just Google your problem. Just type in something like [how do i merge 2 tracks in audacity]. Believe it or not, you won’t be the first person to ever ask that question. Someone has already solved it. Learn from their experience. A task I’ve had my Computing Applications students to do several times now is to create a user manual, either in text or screencast format, for a piece of software they’ve never seen before. It’s not hard to find obscure software tools that most students have never heard of, so pick a few for them to choose from and get them to create a user manual for one of them. Not only do they need to learn a completely new piece of software, they also need to figure out how to clearly explain it’s features in a way that non-users can easily understand. They can’t do that unless they understand it themselves. They’ll need to learn quickly, communicate clearly, have empathy with end users, and also learn new presentation skills. Try also to get them to run some real usability testing with other people using the training resources they’ve created in order to see how well they have communicated their understanding. Everytime I’ve done this, my students have found it a useful and worthwhile task. Got any other tips for learning new software quickly? I’d love to hear them. And if you’re a fluent software user, add a comment and tell us what the “penny dropping” moment was for you, when software started to make sense.